WARNING: A high degree of physical fitness is required. 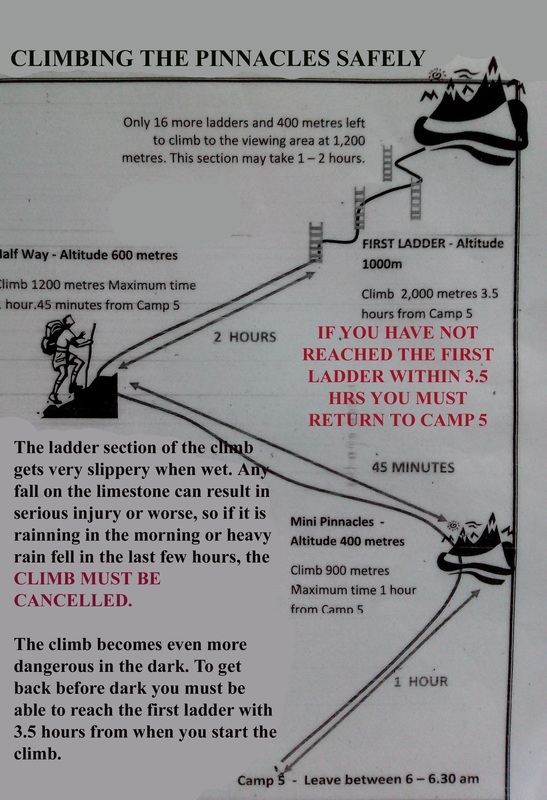 Do not attempt to climb the Pinnacles without a guide. Climbing the Pinnacles is a high-risk activity. It does not include travel insurance and air ticket.